Give your computer-printed projects a new dimension. 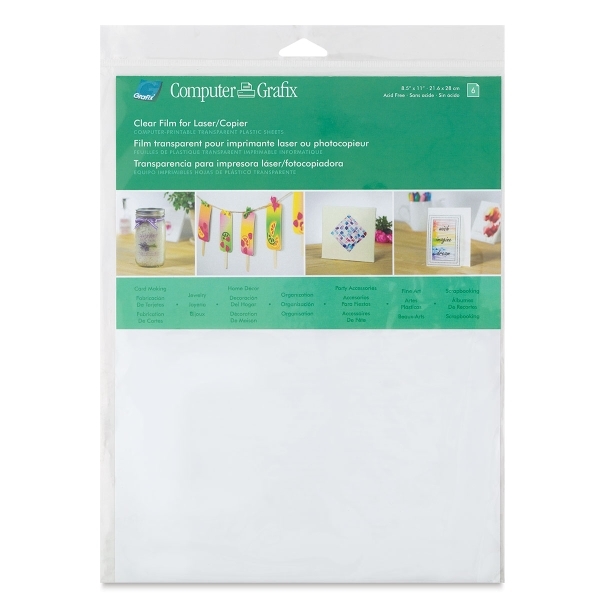 These blank transparent sheets can be easily run through laser/copier or printers with vibrant results. Layer images seamlessly, overlay text, create clear pockets, stickers, or printed windows.